But like the bumper sticker said, the second favorite team of any self-respecting Auburn fan is always, always, always whoever is playing Alabama (even the Russians). T’was always thus. 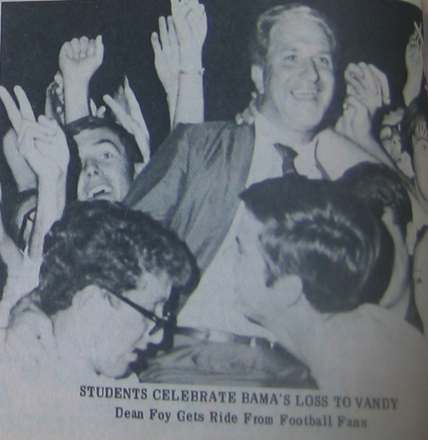 Just ask Dean Foy, who led a midnight Toomer’s Corner celebration after Bama’s loss to Vanderbilt in 1969. 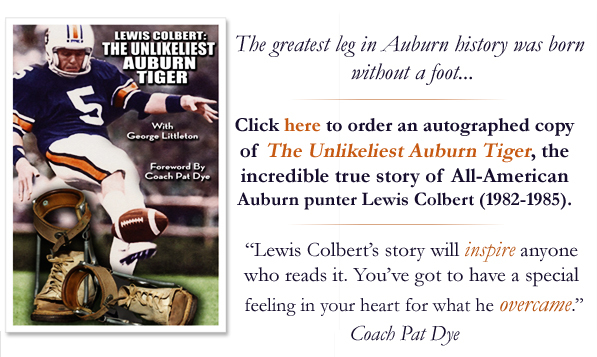 Yes, Auburn had beaten Clemson that afternoon, but the celebration didn’t start until Vandy upset Bama, which also kept Bear Bryant from logging his 100th coaching win. V for victory, V for Vandy. Geaux LSU. Sorry Even More Incredible Iron Bowl Story Line, but the sooner we know Bama (likely) won’t play for the national championship, the better. 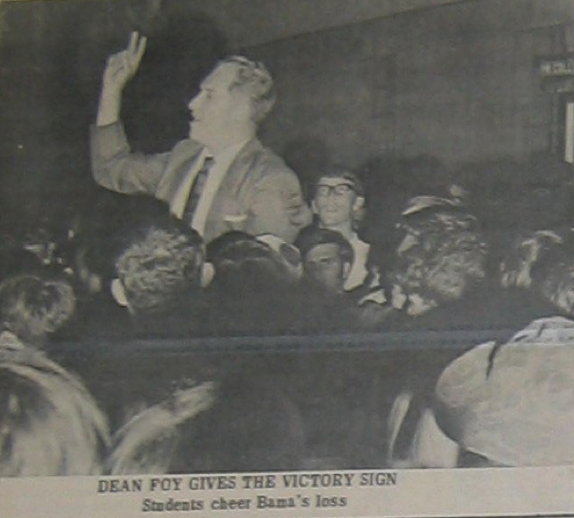 Related: Dean Foy calls Georgia students “Sons of Dogs (or to be more specific…)”. I remember that. I went to Toomer’s that evening too. It was a huge upset, as you might imagine.